A gingivitis diagnosis can leave a patient discouraged about their oral health, and as the practitioner it’s up to you to deliver a solution that provides the proverbial light at the end of the tunnel! One of many keys to helping a patient to combat oral health challenges is ensuring that they brush meticulously with proper technique. Until now, dentists have been prescribing at-home treatment without visibility between visits. But Oral-B’s new Genius™ toothbrush offers some innovations in this arena that are, you guessed it, genius! Read on for details, and to learn how you could win 3 FREE Genius™ Bundles. 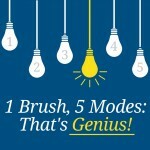 What Puts the Genius in the Oral-B Genius™ System? 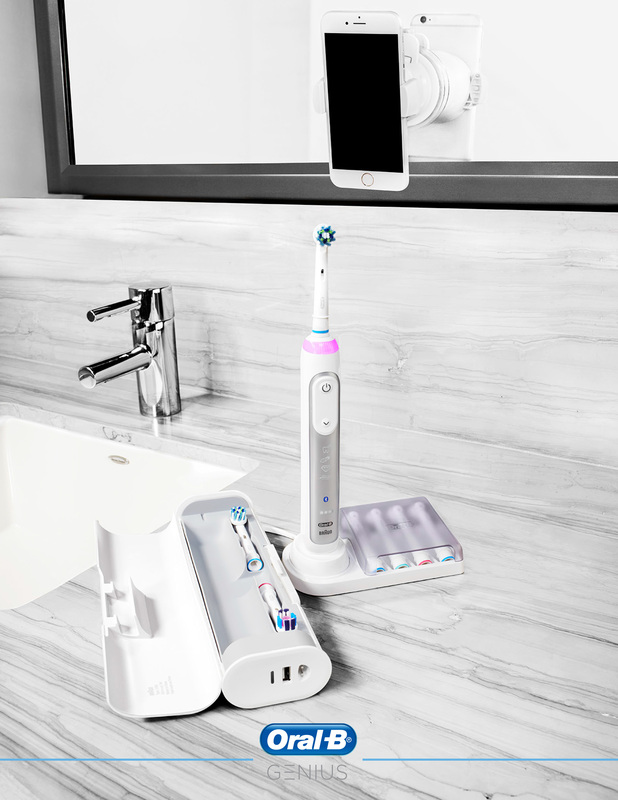 With the Oral-B Genius™ Gingivitis System, Bluetooth connectivity between a patient’s smartphone and the toothbrush allow them to receive real-time feedback via an interactive app, and then share it with you during their next visit! This technology is able to provide a smarter approach to at-home care than ever before. 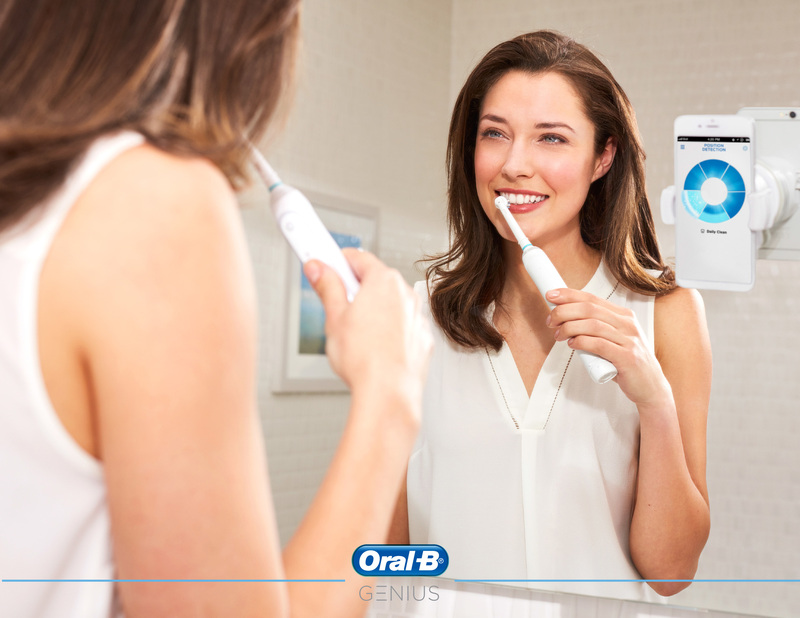 When connected to the free Oral-B app and incredible mirror-mounted “Position Detection Technology,” patients can literally see how well they are brushing. Instant feedback is gathered and sent through the app with the use of cutting-edge motion sensor technology located within the brush, combined with video recognition via the smartphone’s camera. The camera reads precise brushing position so that no zone of the mouth is missed, and even provides a brushing “score” for added motivation. 1 Brush, 5 Different Modes! Today, we’re exploring the Genius™ toothbrush’s five different brushing modes, each created to help usher patients to healthier at-home habits! 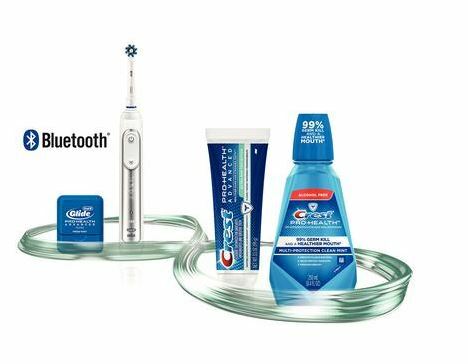 All of the following five settings partner with a built-in LED pressure sensor that lights up when patients brush improperly. Take a look at the video below for a visual overview, then hop into the sections below for a deeper dive on each mode. 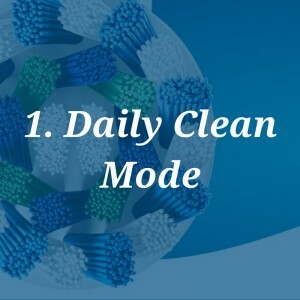 Daily clean is the brush’s default mode. With 45,000 pulsations and 9,900 oscillations per minute, this mode is the standard for those looking to maintain their current high level of oral health. A preset timer ends after three minutes of brushing to help keep patients on track with best brushing practices. This setting is ideal for digging into the contours of each tooth and removing any buildup to ensure teeth not only feel clean, but actually are clean as well. Perfect for patients with a high level of comfort using power toothbrushes, the pro-clean mode offers 48,000 pulsations and 10,500 oscillations per minute. It provides the same benefits of the daily clean mode, but with higher efficiency – this preset timer ends after two minutes. This mode offers users even more cleaning power: no cranny or nook will remain untouched by the brush head! This option helps patients feel that they are getting the best possible treatment outside the dental office. Sensitive care mode is designed as a healthy transition from manual into power toothbrushes. Reduced speed and pulsing action allows for a deliberate pace, and may be the preferred mode for those overcoming oral health concerns. This setting has become quite popular for those with sensitive teeth and gums as well, offering a proper cleaning while maintaining a high level of comfort. A second alternating-speed mode, the polishing action moves between high and low oscillations to help buff away stains on the tooth surface, providing patients with a cosmetic boost. A whiter smile and a smoother tooth feel is just the beginning; polishing the tooth surface can also make brushing more effective, eliminating hard edges where tartar can build up more easily. Patients with gingivitis may already be experiencing a receding gumline. This alternating-speed gum care mode massages gums in order to increase blood flow and stimulate growth. Slower pulsations and oscillations are soft enough to keep you comfortable during care, but vigorous enough to do the work necessary to promote better oral health. There is also a *bonus* tongue cleaning setting which is pretty self-explanatory! Clean and buff your tongue after brushing your teeth with any of your favorite of the first five modes. Enter now for a chance to receive 3 FREE Oral-B Genius™ Bundles! As we’ve learned, with its host of innovative features which help patients brush their very best, the Oral-B Genius™ Gingivitis System provides you, the care provider, with the means to boost between-visit maintenance in every patient you see. It also presents a real solution to patients with special oral care needs. Click the link above to be directed to our giveaway page, where you may be a lucky winner of 3 FREE Oral-B Genius™ Bundles! 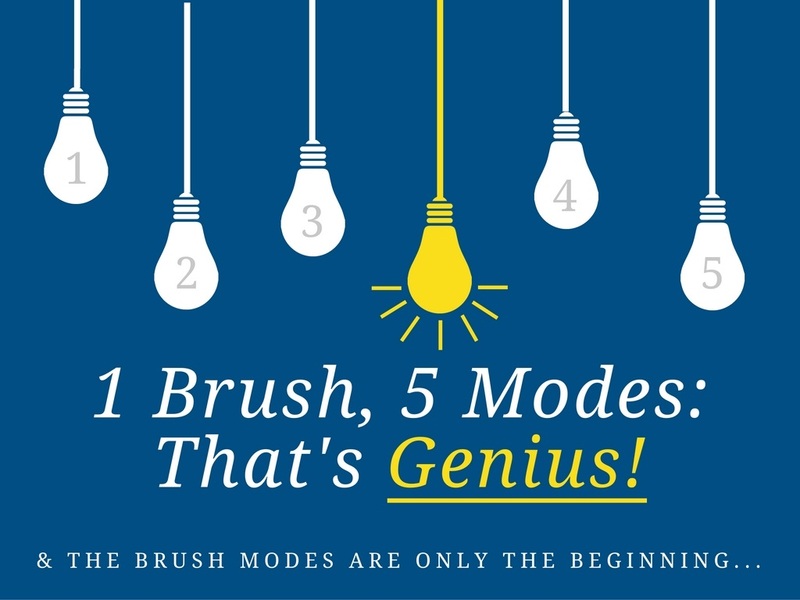 Are you ready to help your patients start brushing like a genius? Let us know in the comments below! Good luck, Lynette – we hope you’re a lucky winner!! This is so exciting! Love the oral-B brush! I hope I win! Best of luck, Samantha! We hope you do too – thank you for entering.